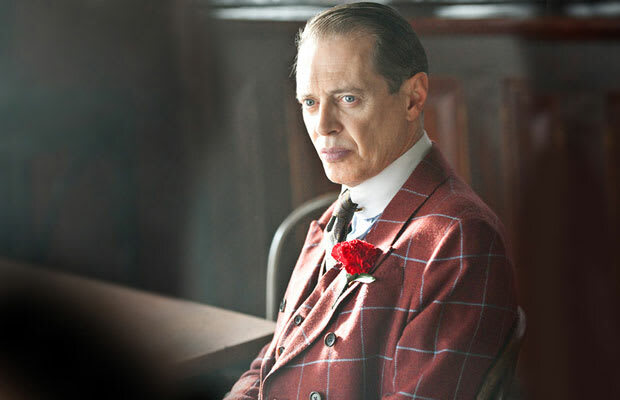 To the 2012 eye, Nucky Thompson's suits are garish and unsightly. But Complex 1921 surely would have hailed him as an innovator of his time at the most, and King of the Style Risk at the very least. You know Magritte's Son of Man painting? Everyone else on the series is pretty much playing by those rules, and just like every other facet of his life, Nucky is effortlessly breaking those rules daily. It surely doesn't hurt that last season he (*spoiler alert*) thinned the competition as well.